The first item Tobi sent me was a cosy sweater dress. 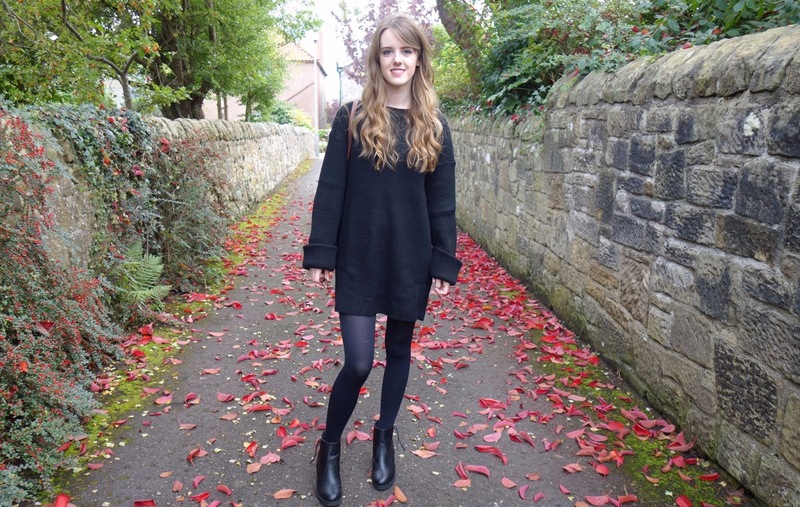 In the autumn/winter months, I live in cropped jumpers and thought a cosy dress alternative would be a great option. The dress is quite over sized. 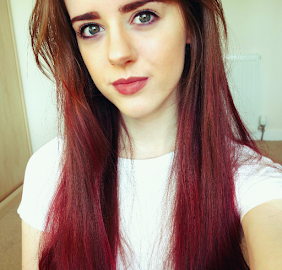 I am a UK size 6/8 and the size small fits me comfortably, whilst letting me move around freely. The only downside for me are the sleeves, as they are very long and I had to roll them up more than the stitched material. However, if you are looking for a cosy winter dress and don't mind the over sized look - this is definitely the dress for you! The dress is available in black, rose and terracotta. 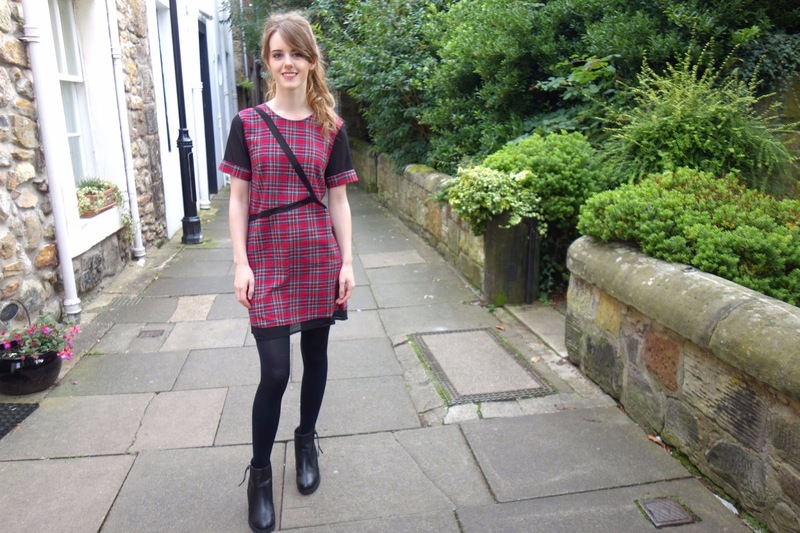 After recently moving to a small small Scottish town for University this year, I couldn't refuse being treated to a tartan shift dress. 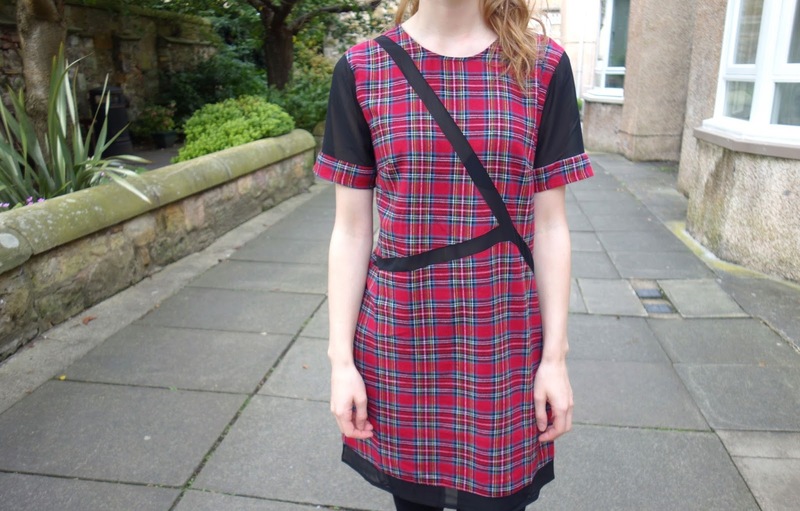 The dress is really lightweight but can be worn in the winter months paired with a thick cardigan, boots and tights. This dress was the cheapest out of the 3 I chose and I'm really surprised by the price tag - a definite bargain! I was drawn to how unusual this particular shift dress is. Shift dresses aren't usually my preferred dress type as the shapeless structure doesn't really flatter my figure, but the mesh panelling across the front of the dress really adds some dimension to an ordinary shift dress. There is mesh panelling around the sleeves and the hem of the dress too. The dress is available in red, grey and black. 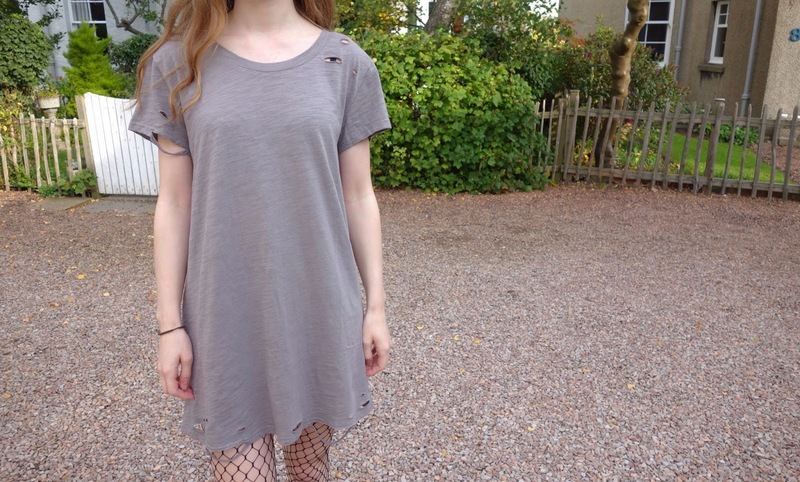 Finally, Tobi sent me a distressed t-shirt dress in the colour Taupe. 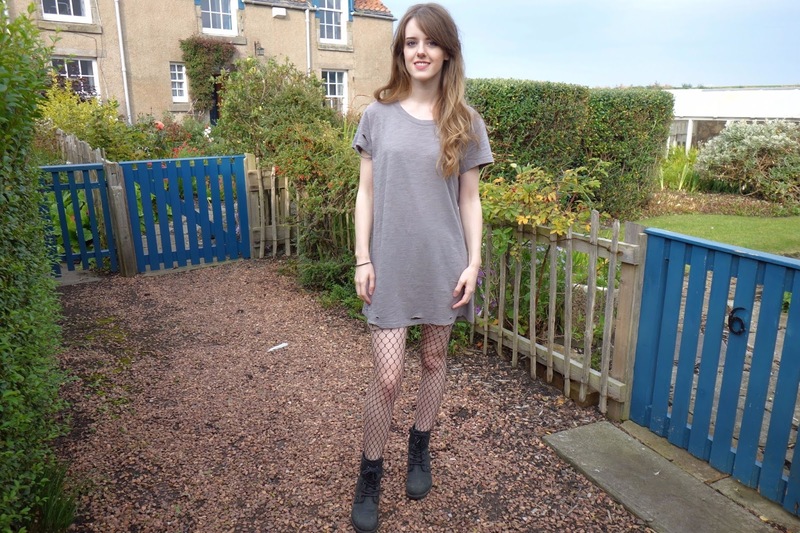 I like the added character the distressed material gives to a normal t-shirt dress, and to add to the edgy vibe more, I decided to pair it with fishnet tights and some biker boots. The distressed material covers the sleeves, around the neck and around the hem. The material is really lightweight and could also be styled with a black belt at the waist to give it a bit more structure. The dress is available in grey, white or black. I'm really impressed with the range of dresses Tobi sent me and I would definitely shop there again in the future. I never have any luck with sizing when ordering online, however, everything I ordered in this instance managed to fit me perfectly and was exactly as described on the website. 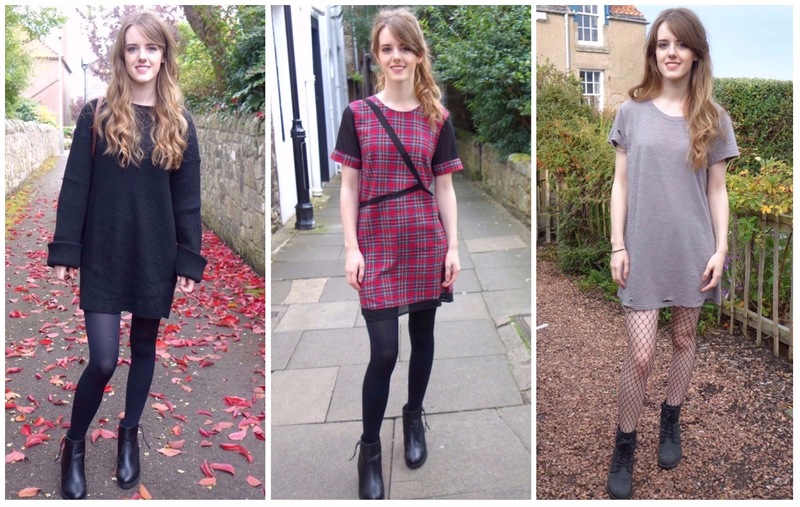 Let me know your favourite outfits choices for the Autumn/Winter season in the comments!